More bands are to be announced soon. 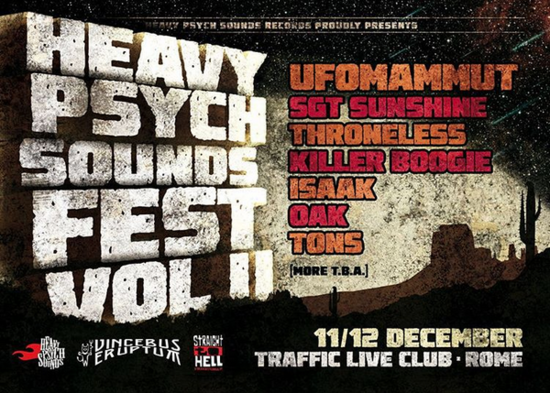 Hosted by Italian rock’n’heavy music label and booking agency Heavy Psych Sounds (Black Rainbows, Fatso Jetson, Karma To Burn, White Hills, Mos Generator…), the second edition of HPS FEST VOL. II will once again bring the heaviest riffs to the peninsula for two days of doom, stoner and psych partying, with both established bands and newcomers from the HPS roster.